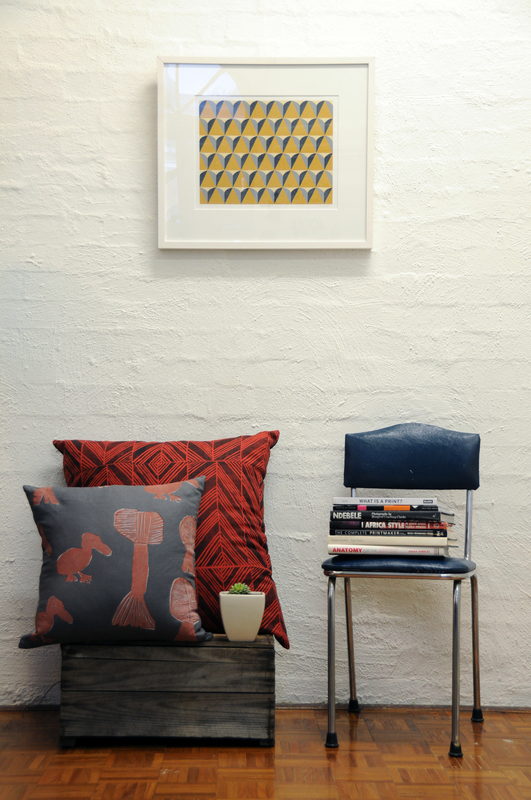 Installation view of Pattern I by Julius Bright Sackey with Elcho Island Cushions. Photo: Tamaryn Goodyear. The Ownership Project non-profit studio and gallery contributes to the broadening of representation of diverse aesthetic and cultural expression by refugee, migrant, Aboriginal and Torres Strait Islander communities. Donations and pro-bono provision of expert services and knowledge enable TOP to create and sustain engagement and expression through our Artists in Residence and Creative Capacity Programs as well as remote Australian projects. Once a year, TOP draws on its community of practice to fundraise with donated prints and other works on paper in a silent print auction. The first print auction met with riotous laughter and merriment while bringing together a community of artists and supporters in raising much-needed funds for The Ownership Project. The Ownership Project actively searches for and applies to relevant private and public funding bodies in order to grow and sustain the Artists in Residence and Creative Capacity Programs, as well as broader organisational functions such as artist development, industry leadership, marketing and governance. We are always keen to work with arts management, fine arts and art conservation students and practitioners to support our events, best-practice conservation and presentation of fine art works on paper, and much more.